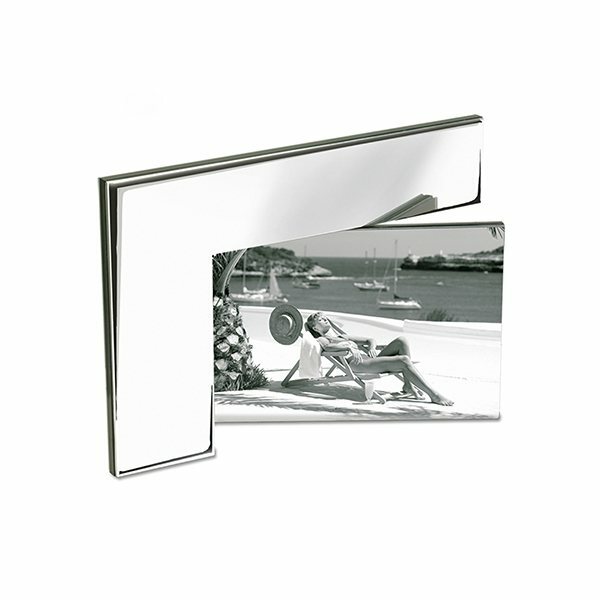 Two-sided photo frame in high-polished silvertone finish over aluminum with acrylic photo sleeve. Holds two 4" x 6" photos. Excellent product - Excellent cost!! Precisely what I needed! No complaints! I have no negative comments. I hope the next time I order them, the prices wont be sky high. Look forward to doing business with you again. Nice, functional, low-cost item for any tradeshow giveaway. We had a brief deadline to meet, it was met with out a problem.They are great! An excellent and affordable giveaway will be able to hand out to everyone.